Outplay Entertainment’s tower defense strategy game, CASTLE CREEPS TD, has been named the Best Strategy Game at TIGA Awards 2017. 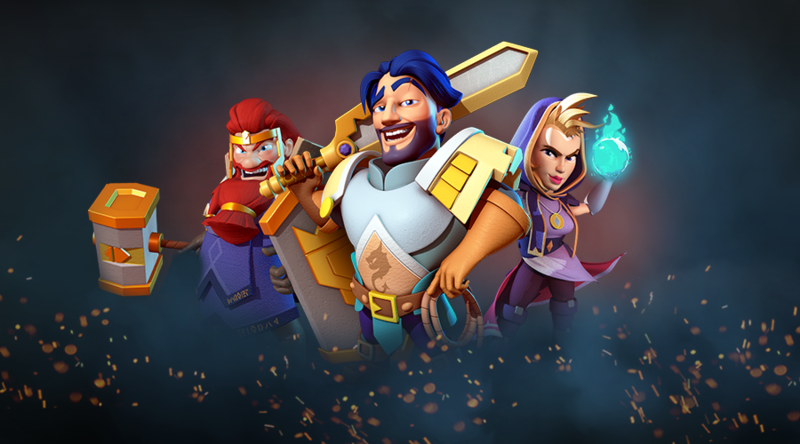 CASTLE CREEPS TD has proved popular with gamers worldwide and racked up two million downloads within the first five days and has now surpassed six million. CASTLE CREEPS TD has topped the charts as #1 Strategy Game in over 60 countries, and has been featured on the Apple App Store, Google Play and Amazon Appstore. Now on Chapter 36, new content updates are released fortnightly - the world of CASTLE CREEPS TD continues to expand at rapid pace. Aleah, the newest hero to land in the critically acclaimed world of CASTLE CREEPS TD, is a juggernaut on the battlefield, outfitted in armour blessed by the church. Her ferocity is matched only by her piety. Her dedication allows her to perform miracles like summoning divine blades to fight for her, periodically shielding nearby allies preventing damage, or even revive nearby fallen heroes. Ready your Towers and defend the realm!